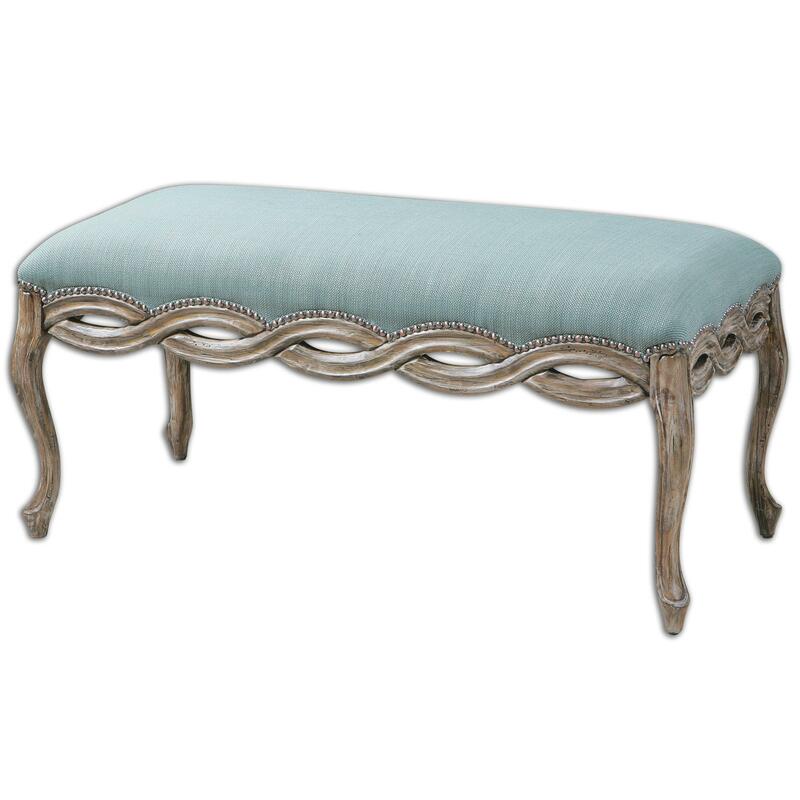 Vibrant, sky blue woven fabric bench seat accented by a scalloped edge with antique bronze nails and open carved hardwood in a vintage, chipped paint finish. The Accent Furniture - Benches Kylia Sky Blue Bench by Uttermost at Miskelly Furniture in the Jackson, Pearl, Madison, Ridgeland, Flowood Mississippi area. Product availability may vary. Contact us for the most current availability on this product. Browse other items in the Accent Furniture - Benches collection from Miskelly Furniture in the Jackson, Pearl, Madison, Ridgeland, Flowood Mississippi area.